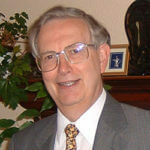 Professor Alan Smithers B.Sc., Ph.D., M.Sc., Ph.D., M.Ed., CPsychol. Alan Smithers is the Director of CEER. He has been previously Sydney Jones Professor of Education at the University of Liverpool (1998-2004), Professor of Policy Research at Brunel University (1996-1998), and Professor of Education at the University of Manchester (1976-1996). He was first a lecturer in biological sciences at London University, from where he was recruited to the emerging field of research in education. His research has embraced, among other things, pupil and student exam performance; teacher training, recruitment and retention; gender differences in education; different types of school, including independent schools; further, technical and vocational education; and international comparisons. He has so far published over a hundred refereed papers in biology, psychology and education, four books, 81 research reports, as well as preparing 45 confidential briefing reports. He has served on national committees including the National Curriculum Council, the Beaumont Review of National Vocational Qualifications and the Royal Society Committee on Teacher Supply. From 1997-2015 he was standing adviser to the House of Commons Education Committee. The Centre specializes in issues of current concern and is often called upon for comment by the media. Professor Smithers’ publications can be found on the Centre for Education and Employment Research (CEER) pages.